Stephen Hall, the Wonder from Down Under, is an international track superstar. With over 180 track and road wins to his credit, he leads the PA Lightning endurance squad with incredible strength and power. 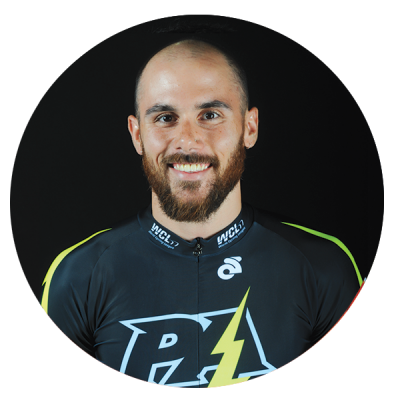 He became famous in Pennsylvania in 2015 at the T-Town Velodrome where he won almost every race he entered against strong international competitors, which launched him to an overall victory in the season-long National Track Calendar in the USA. Steve loves the United States and will be a fixture on the Lightning, bringing power, attitude, and style. Watch for Steve’s powerful and charismatic sprint in the endurance events.